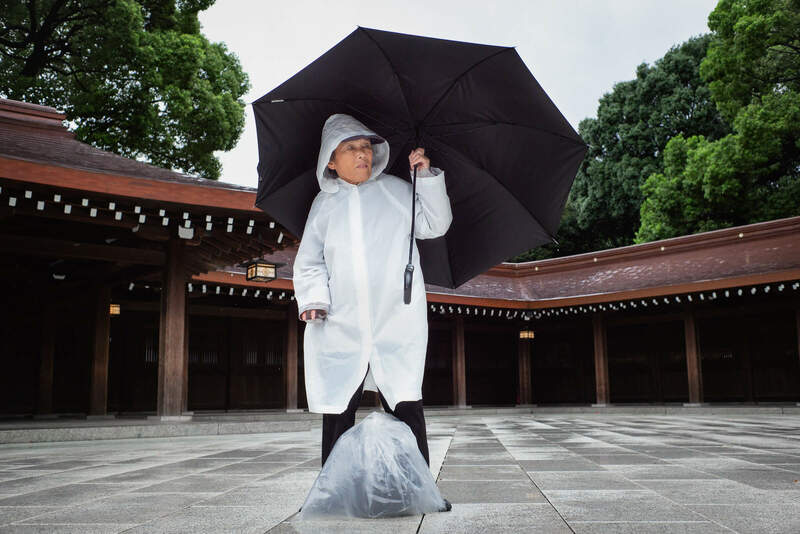 Typhoon Jebi may well have been on its way, but this man simply wasn’t going to miss Tokyo’s Meiji Shrine. Well I guess that’s one way to beat the crowds. Yes, although to be fair, there were still a surprising number of people bravely battling the heavy downpours. I saw the typhoon on cable news. It looked intense. Stay safe! Yeah, every time we have a typhoon there’s always footage of at least one utterly drenched person battling with an inside out umbrella. It would have. There’s always an audience for gallant salaryman stories/vidoes! That wouldn’t be someone’s ashes in umbrella man’s plastic bag by any chance? Would explain a lot maybe? Looks like I’ve missed a few of your posts. The lamp that lights up to alert me of them glitched out – I reset it today so we’re good again. Technology eh? Hope you enjoyed your time away from the heat. I like the idea of a light going on. Or not as the case was! Cheers. Yes, I did thanks. Was a struggle coming back and dealing with it again, but I managed to be away during the worst of it, and this year really was bad.